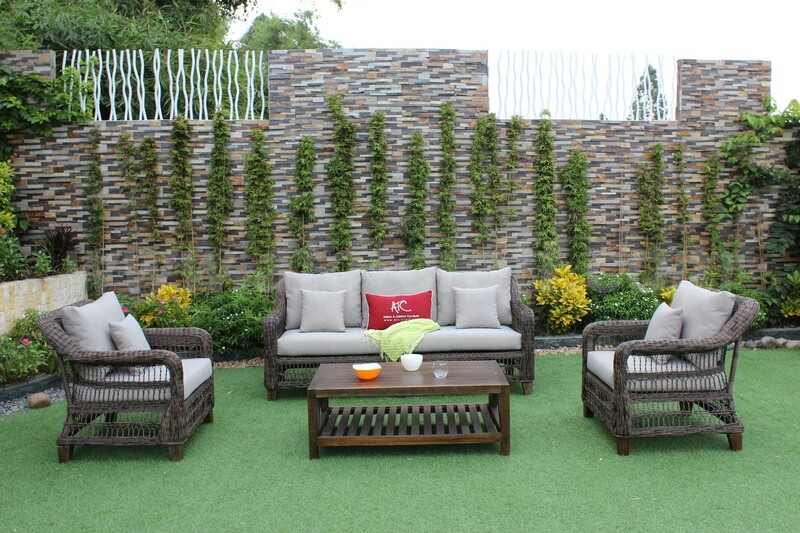 Give your outer scenery a more powerful look with this Modern Outdoor Round PE Poly Wicker Sofa Set Rasf-121 Style 4, they come in a dark brown and heavy gray color tone to make sure to standout wherever they are put. 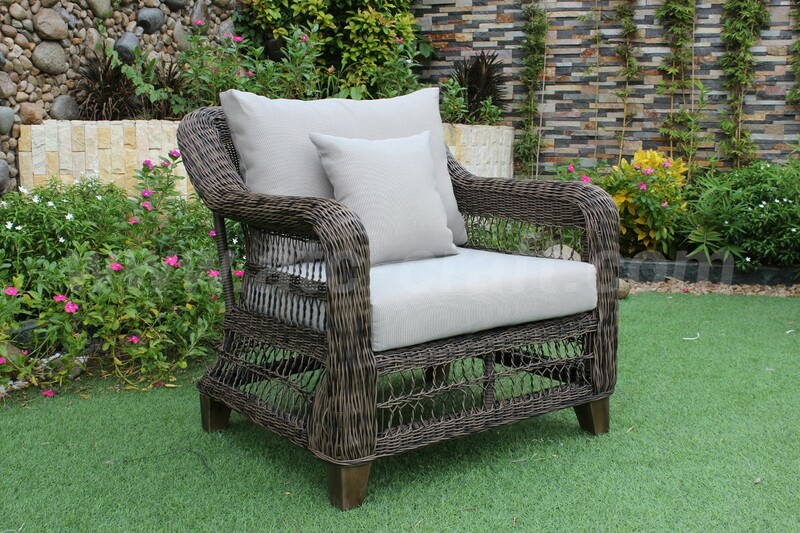 Beside their luxurious and delicate appearance, the triple sofa and the two deep seat arm chairs are designed with more than four different weaving styles, exaggerate the uniqueness to your house. 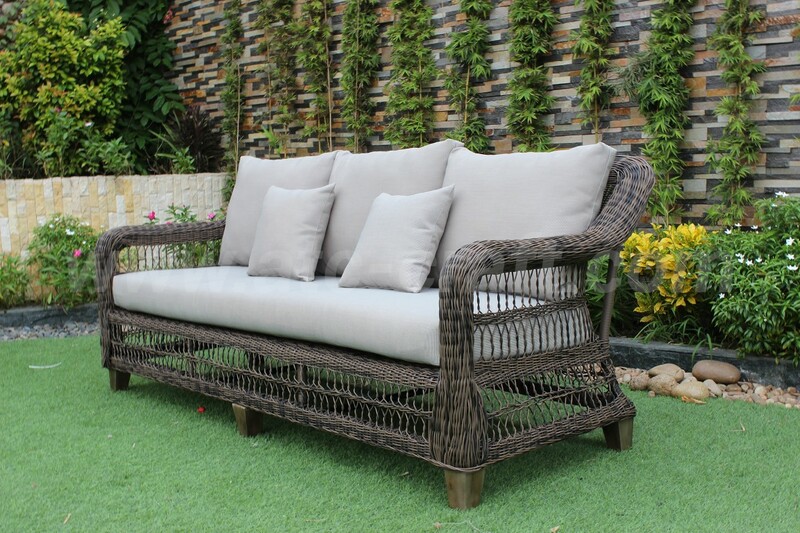 Additionally, these sofas are made up with two main components: first is the pipe shape HDPE poly wicker material, for a better chance to fight off heat and wet during their exposure to the outside environments without any sign of fracture or break when sit, and second is the core powder coated aluminum frame that lighter and more durable than steel or iron. 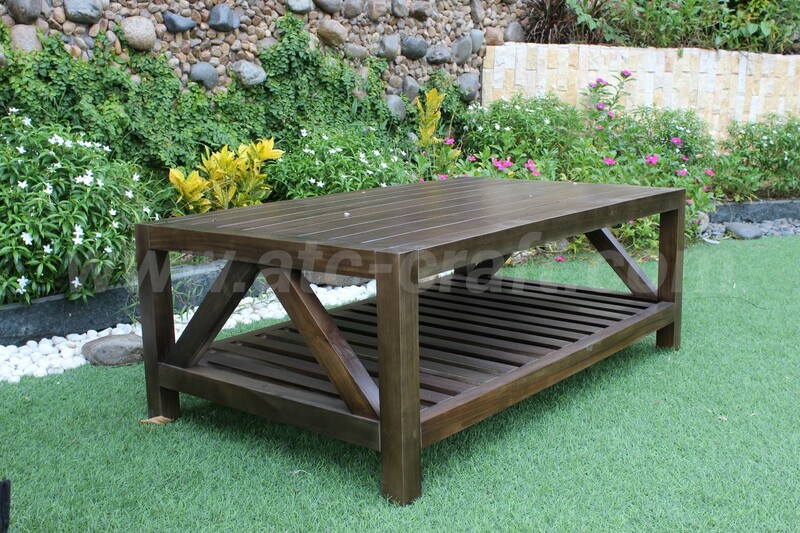 Furthermore, the two floors processed Acacia wooden table to increase storage capacity for your favorite snack, soft drink or more space for any decoration accessories. 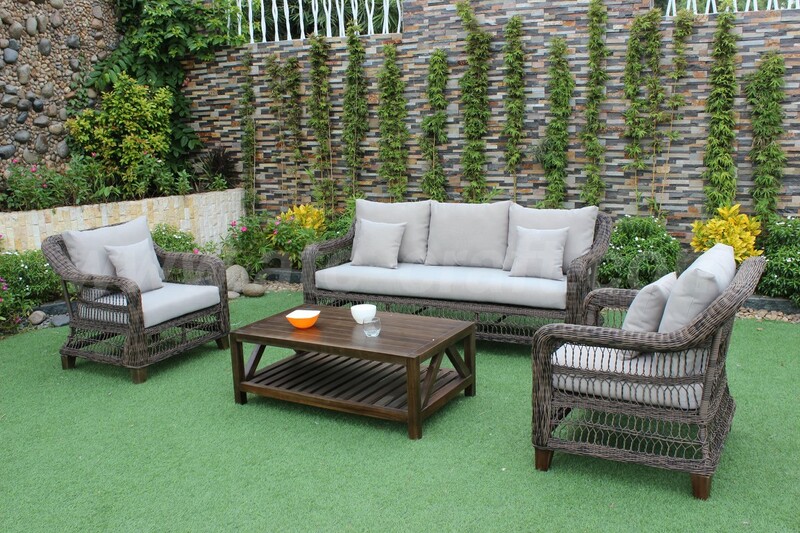 Finally, the non-tearing or fading beige seat and back cushions to create more contrast to this already attractive sofa collection. 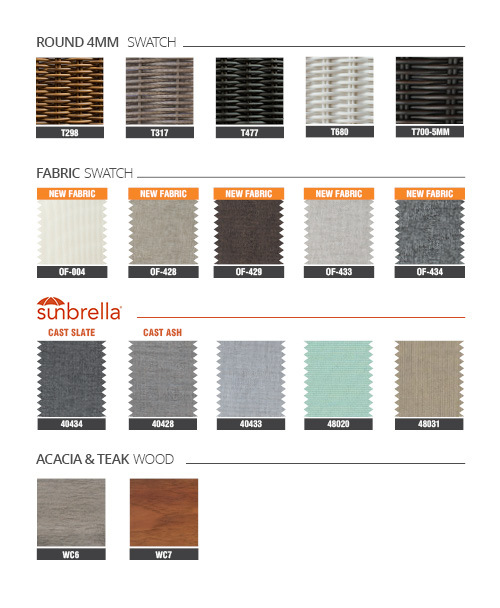 •All-weather materials: Round HDPE wicker, Powder coated aluminum frame, water resistant fabric (250g), Acacia Wooden tables and legs, 10cm thickness cushions. •Pieces included: 2 single sofas, 1 triple sofa, 1 wooden table.